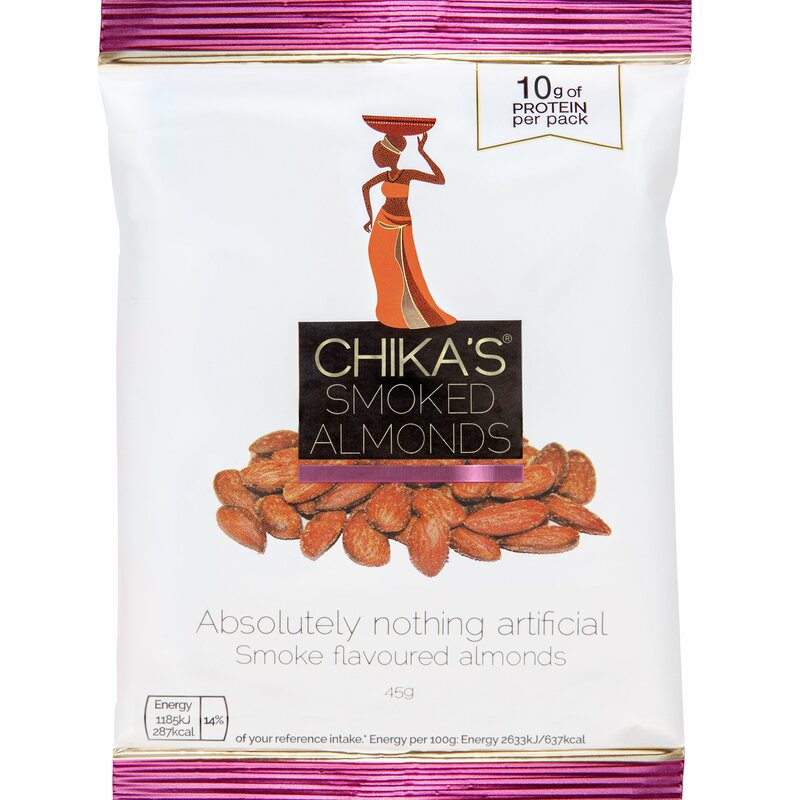 CHIKA'S Smoked Almonds recreate the flavours of North Africa by roasting creamy almonds to a perfect golden crunch and adding a robust smoky blend of smoked paprika, cracked black pepper, sea salt and garlic. 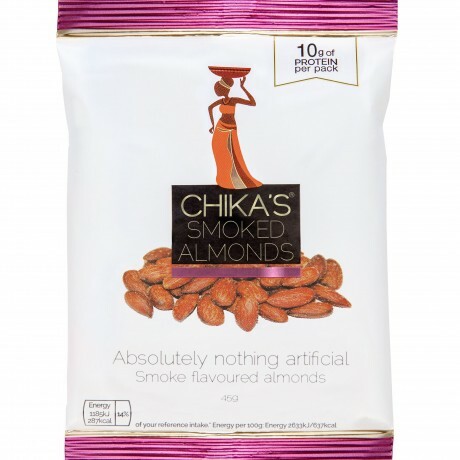 With 9g of protein and antioxidant Vitamin E, our smoked almonds are a pure, healthy indulgence. Chika’s. An adventure in taste awaits.